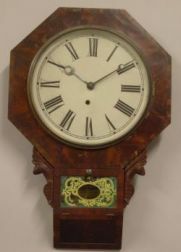 Save your search - find out immediately when "Waterbury Clock Co" is available at auction! Waterbury Clock Co. Miniature Gilt Cast Metal Tall Case Clock. 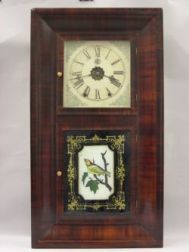 Waterbury Clock Co. Mahogany Veneer Ogee and Independence Hall Transfer Glass Tablet Shelf Clock. Waterbury Clock Co. Brass Ships Wheel Clock. Waterbury Clock Co. Gilt-metal Mounted Onyx Mantel Clock and a French Victorian Marble Mantel Clock. 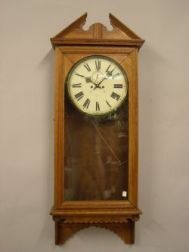 Waterbury Clock Co. Mahogany Veneer Mantel Clock. Waterbury Clock Co. Black Painted Gilt Cast Metal Recumbent Stag Figural Clock and a Renaissance Revival Walnut Wall Clock. Davis-Pattern Medical Coil by Jerome, Jewell & Co.